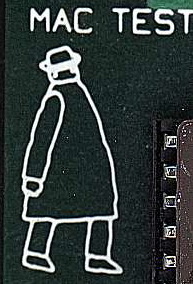 In the Eighties a stylized little man with an overcoat and hat was etched on some early Macintosh motherboards and also appeared on some rare merchandising items. Known as “Mr. Macintosh” or “Macintosh Man”, the character was concocted by Steve Jobs who in 1982 became of the opinion that the upcoming “computer for the rest of us” needed a mascot. The idea was eventually abandoned but Mr. Macintosh lived on, at least for a while, both in hardware and in software. 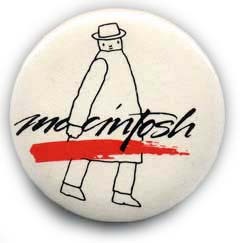 Jobs had already commissioned a little drawing to belgian artist Folon, who drew a mysterious character in a “Macintosh” overcoat and hat. 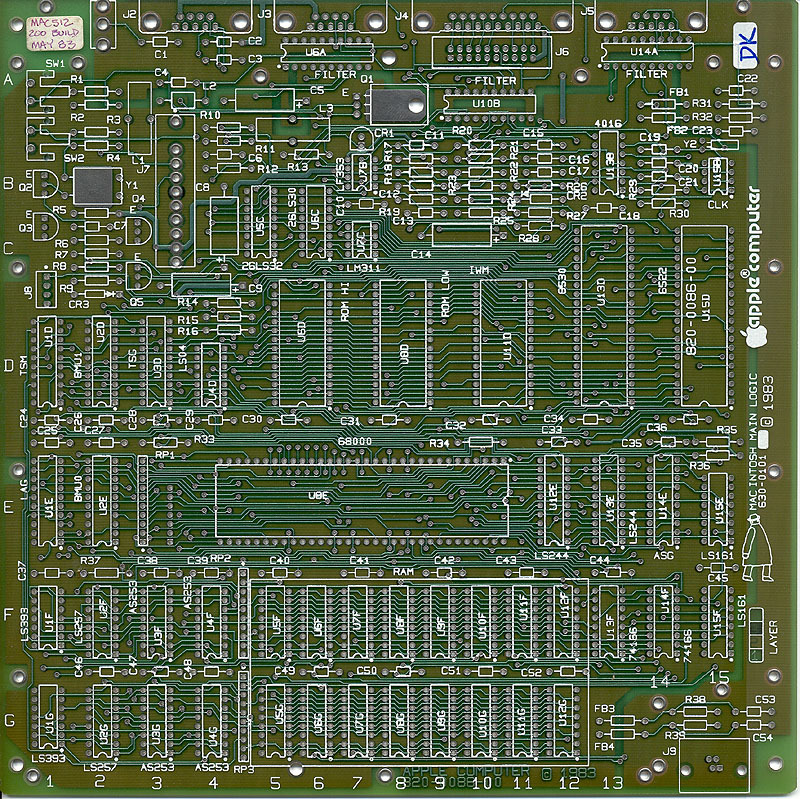 This drawing was used on some early hardware boards and promotional material. Andy Hertzfeld couldn’t fit an image in the very small ROM of the Mac, but he modifified the system software that showed the menus of the Mac. In this way a developer could eventually make Mr. Macintosh appear on screen by calling a special memory location called… MrMacHook. Hertzfeld doesn’t know if anybody ever actually implemented Mr. Macintosh or used the “MrMacHook” location for something worthwhile.